Voice of the Customer (VOC) is a formalised program to capture the customer’s expectations, preferences and frustrations to improve customer satisfaction, loyalty and advocacy. Turns out listening to your customers is good for business. So it makes sense to listen to your customers on how you can improve your CX. And that’s the main purpose of Voice of the Customer programs, to listen to your customers so you can improve your CX. 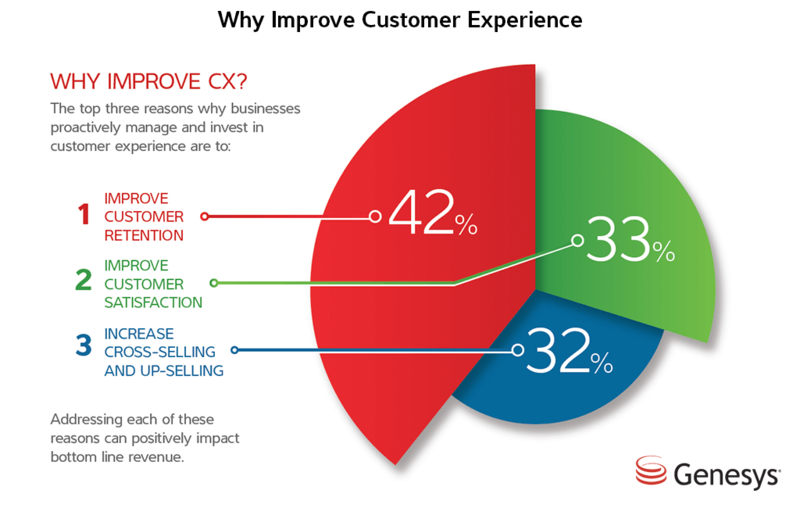 According to a study by Genesys, there are three compelling reasons to improve the CX In your business. Asides from the three reasons above, research has suggested that by 2020, customer experience will overtake price and product as the key brand differentiator. And on what I’m seeing, I think that promise is going to be ahead of schedule. How do you measure the Voice of the Customer? There is an ever-increasing array of models, techniques and technology that enables you to capture and analyse the Voice of the Customer. Best time to measure Voice of the Customer? By undertaking Customer Journey Mapping you’ll be able to identify all the customer touchpoints with your business. Test each one of them, find out what you are doing well and where you need to improve. How soon after each touchpoint, however, is becoming increasingly difficult to navigate. 80% of customers state they abandon surveys halfway through filling them out. It can be tempting to ask a customer for lots of information however every bit of research I could find suggests this is a bad idea. 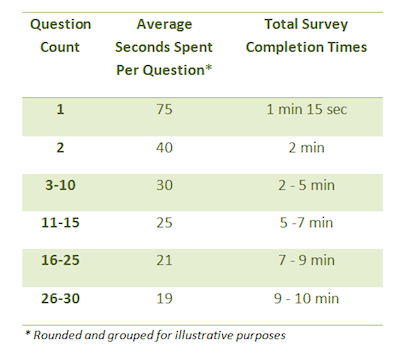 According to SurveyMonkey, a study conducted in 2010 revealed the more questions per survey, the higher the respondent drop-off rate from start to finish. So keep your surveys short! 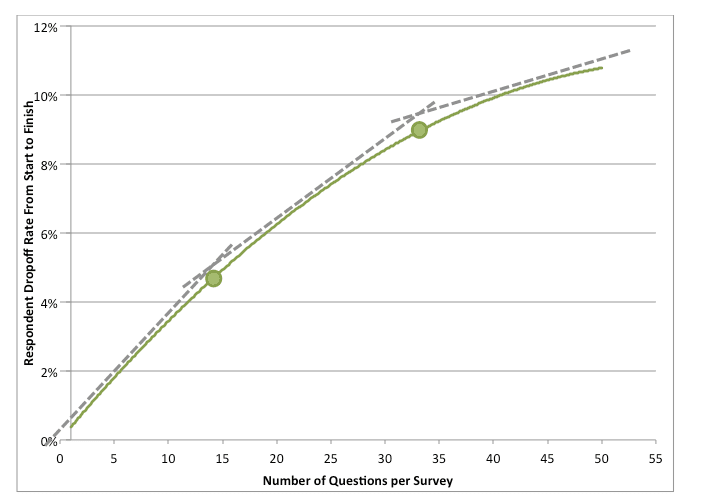 In fact, the more survey questions you ask, the less time people spend on each answer which may impact the quality and reliability of your data. If you’re thinking of investing in implementing a Voice of the Customer (VOC) program these best practice tips will ensure you are off to a great start. Don’t make it difficult for customers to share their feedback with you. Too many companies hide phone numbers, turn off comments on Social Media pages, remove feedback forms and email addresses from Contact Us pages on their website. Make it easy for your customers to ask questions and provide feedback and make it clear that your business is committed to continuous improvement. Make sure there is someone in your business committed to analysing the feedback. This can be a simple as reading all the responses or using powerful Customer Analytics and Speech Analytics to analyse large chunks of information. If a customer has provided you with information you don’t understand, reach out to them! They’ll be surprised that you cared enough to reach out and talk to them. Let your customers know that you appreciate their feedback, confirm you listened, and tell them what you are, or aren’t, going to do as a result of their feedback. If it’s appropriate, a gesture of thanks could also go a long way. It might be a discount voucher, free product etc or a handwritten card from your CEO. No point collating all the information and keeping it in a top drawer. To develop a culture of customer-centricity you need to share all the results and experiences across your business. Share verbatim comments, recordings of calls etc to bring the feedback to life. Whether its additional resources, high delegation limits or access to the senior management team, empower your team to be able to address customer feedback. Remember earlier the quote from Richard Branson? “Look after your employees and let them take care of your customers”. Make sure you have the tools, systems and processes to enable issues to escalated when needed. What gets measured get’s done. There is a range of VOC tools we mentioned earlier that will enable you to track your progress. Just don’t rely on one single metric. Diversify how and where you capture the VOC to ensure you cover the entire Customer Journey. Whether it’s a good result for a customer, or organisational wide change its important share and celebrate your wins. The quest for a great customer experience knows no end. Market conditions change, technology changes, employees change and of course, customer expectations change. Make capturing and acting on Voice of the Customer an integral part of your business rather than a discrete/one-off event to ensure your business remains relevant. Find suppliers of Voice of the Customer technology, products and services in our Business Directory.